I’m often asked by people “What is the best breed?” Well, that is a loaded question. If you’ve ever been to a dog show (or watched the movie “Best in Show”) you will know that the dog owning world is passionate. Go to an agility event and have the working dog owners strutting around like they own the joint (I can say this, I have Border Collies). Head over to a weight pull and watch the Malamutes shine. Every dog has a purpose, breed traits both physical and mental, that make that dog appeal to a portion of the dog-loving world. The fact remains, that no 1 breed is better than the other. It’s how that breed fits your wants and needs. It’s important to establish whether that breed appeal is for looks alone. Read my other post on the big mistake dog owners make. You must ensure you are able to accommodate the whole dog, it’s looks, it’s health issues and it’s mental health and well-being. Then comes the second question: How do I pick a good breeder? I can’t answer this question for everyone, the fact is the world is full of “breeders” the good, the bad and the ugly. These are the questions I want to know from a breeder and why I want to know the answers. This will help you make an informed decision. • How many litters are there on the floor? This relates to the amount of breeding happening on site. If there is more than 1 I will not be purchasing a puppy. Raising a pup is more than arranging a mating and throwing food out. The breeder has those pups for the biggest part of their social period. That requires lots of individual attention. I want my breeders to focus on the pups, not their cash flow. • How many litters is the breeder having a year? This is a hard question, the reason is that having multiple litters from multiple mums isn’t too bad, but 1 mum should have a good rest between litters. I’d suggest a minimum a year – I personally would be happier if it was longer. Again, I also want to know the purpose of breeding, throwing out a lot of pups is not helping the state of our shelter systems only lining the breeder’s pockets. • Have the parents had all the recommended genetic testing? You are going to love this pup, you want him for the longest time possible and without costing you the earth. Research your breed of choice and you can ask for copies of the results of the tests recommended. • Can you meet mum and dad? Now I have never met the dads of my pups. Dog breeding is worldwide. Sperm gets sent across the globe. Matings are often done interstate. In these cases, you might not be able to meet. But you can get the name and details of the Dad. Google for info, or even ask to speak to another puppy owner from a previous litter. Mum, however, should be well known to you. Get to spend time playing and interacting. Is she shy? Does she guard? Maybe she’s really barky. She is the pups mum, they get her genes. If she is shy, your puppy is likely to be shy. • Do you have (insert special colour of your breed here) available / expected? This question is because I do not want a breeder choosing a mating based on colour. 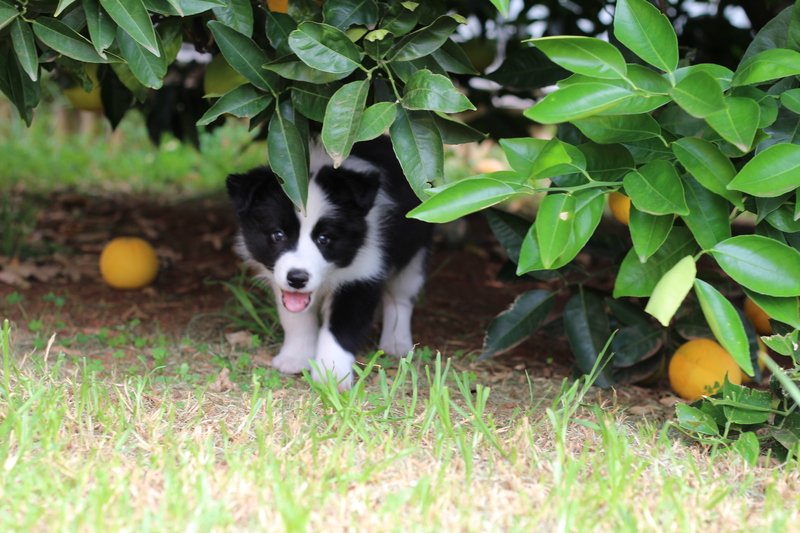 A breeder sprouting about specialising in blue puppies is likely focusing on colour, not temperament. I’d prefer the standard colour and a good pup. • Are the puppies inside the house? Can you imagine having 6-8 fluff balls running around the home? Sounds great right? Well, there’s more reason to this question than fun. As I said earlier, the breeder has the pups for some very important socialisation periods. Inside a pup will hear the tv, washer, dryer. He will see people coming and going. These are going to all be apart of his ongoing life. Even better, if mum and pups are inside, mum actually starts to toilet train the puppy for you – talk about a bonus right. Pups don’t need to be loose in the house all day. But I do want my pup to be kept inside (even a laundry or similar space) and then out to play when supervised. • Can I come to meet and play with the puppies? Who doesn’t want to meet and play with a litter of puppies? It’s just heaven. We also want to see the pups. Look at their behaviour and pick one that suits our situation. Someone with kids does not want the shy quiet pup, but an elderly person won’t want the crazy active one. It will give you time to know the pup, the mum and the breeder. • Will you take the pup back? Ok, no one plans to not be able to keep their pup. But life does happen. This isn’t the only reason I ask though (in honesty my family would keep the pup if I couldn’t), I ask as I want to access the commitment of the breeder. A good breeder always wants to know where their pups are, even 12yrs later. Many people would not know about breeding terms. This is when you don’t fully own your pup, the breeder remains in control of vital decisions like desexing and breeding. They will plan to breed from your dog. This is a personal choice, it is not one I would make. Things change and you remain responsible for an un-desexed dog. There are pros and cons. But do go in with your eyes open. So what should you expect from the breeder? You should be interviewed too, they should want the best home possible for their pups. A perfect home should take dibs over an ok home. Be honest. Answer their questions. A good breeder might only have a litter once every couple of years. If something isn’t available in your time frame that’s ok, ask for some breeder recommendations. But don’t rush out, this is a big commitment. My last recommendation is to be prepared and able to walk away. They are cute. I’ve heard horrifying stories when people have picked up dogs from hellish conditions. People feel they are saving the pup, instead report the person. If the pup isn’t suitable, mum is shy or reactive it’s ok to say no, to move on and find another. This is a lifelong commitment, getting a puppy because you feel sorry for it, or you are guilted into taking it could mean years of behavioural issues. This is also why I never recommend taking the kids the first time you go to visit. They will not give up on their new fluffy friend. Bring them in once you’re fully satisfied that this is the right fit for you. My final thought to leave you with is join facebook breed groups, ask questions, ask for recommendations (within group rules), even go to a show and speak to breeders there. Enjoy the start of the journey.